This card is a combination of a few challenges. 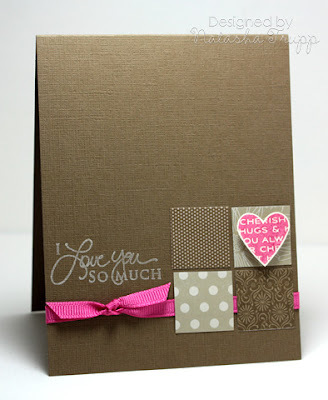 The SCS CAS51 challenge to use dp; the color challenge for this week was to use Pretty in Pink, Melon Mambo and Blush Blossom - with a bonus for using red on a heart only. And of course the FTL layout. 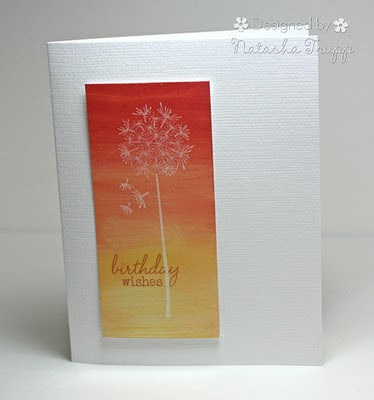 I'm here today with a simple card I created using last Friday's Fall-to Layout Sketch #75 and the new Raspberry Fizz formulated ink available from PTI. I know not everyone loves the new ink formulation, but I'm not one of them! LOL I absolutely *love* the new inks, the colors are SO vibrant! 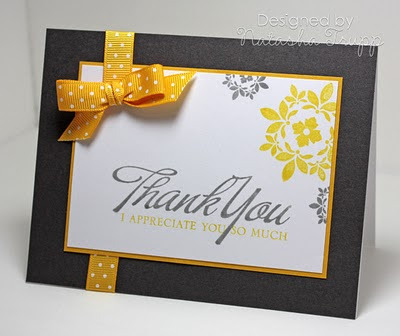 Cut kraft CS to 4 1/4" x 10 1/2", and fold in half to create card base. 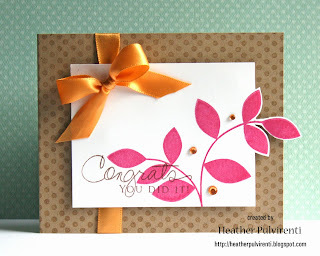 Stamp leaf image with pink ink onto white CS, then trim down and cut around leaves on the right side. 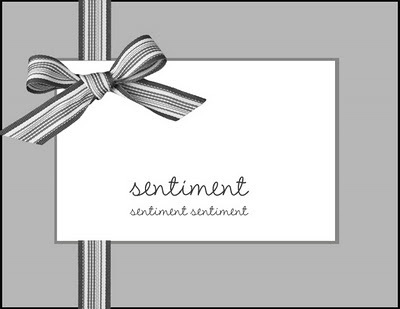 Stamp sentiment with brown ink. 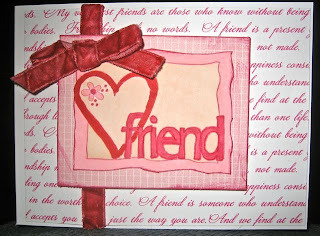 Punch small hole in upper left corner of white CS, then wrap ribbon around card and through the hole. 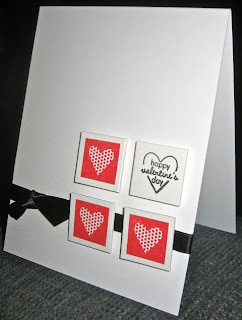 Attach white CS to card base with pop dots and tie bow. Happy Friday everyone! Ready for another sketch? 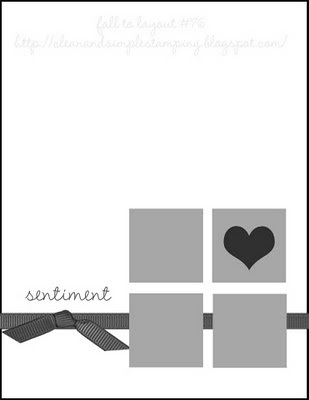 The sentiment/image panel is 3x4.25 on my card. I used the slot punch to weave the ribbon through. The bow was tied independently, then stuck on. I designed the sketch with the intention of adding images to the top right corner. Feel free to do whatever you like the main panel! Supplies: Stamps: Giga Guidelines, Guidelines II, Big Bold Wishes Inks: Smokey Shadow, Sunflower Paper: Smokey Shadow, White, Crushed Curry Accessories, etc. : Crushed Curry Ribbon, Slot Punch Once again, if you decide to play along, please add your direct-post link in the Mr. Linky widget! I am so happy that Natasha is back with her awesome CAS sketches. This is for FTL#74. 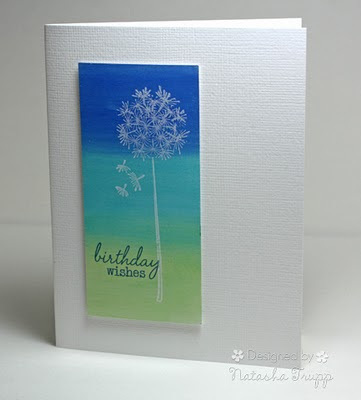 I went for the one layer card (OLC). I masked around one of my narrow rectangle nesties with large post it notes so that the entire card front was covered. I then stamped the image in Versamark and embossed it with clear EP. 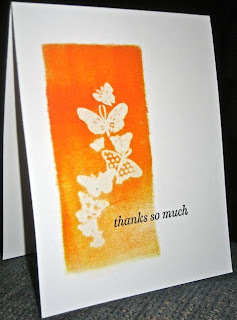 Then I brayered on yellow and orange Adirondak inks. 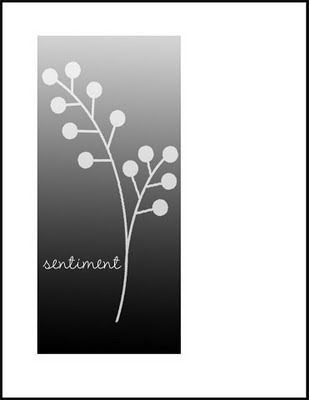 I wiped the ink off of the embossed image and pulled off the Post-it notes and stamped the PaperTrey Ink sentiment in Versafine Onyx Black. I love the challenge to make a OLC! !